CHARLOTTE AMALIE — The commissioner of tourism admitted that the government pushed to get St. Thomas ready ahead of St. John and St. Croix to try to protect its biggest NGO industry –tourism. Beverly Nicholson-Doty told Travel Agent in a recent interview that St. Thomas got priority to give the territory a fighting chance in the ultra-competitive Caribbean cruise ship market. Nicholson-Doty said that the recovery from Hurricane Irma and Hurricane Maria in the territory continues, but many area hotels and attractions are reopening. “It’s important to be honest that recovery is a journey,” Nicholson-Doty tells Travel Agent. “The dining, shopping and beaches are still great, but you may see a blue roof or two,” she says, referring to a Federal Emergency Management Agency (FEMA) program that provides damaged structures with temporary blue roofs that can last up to a year. In the meantime, similar financial opportunities for St. Croix retail businesses have vanished at the last minute, despite being damaged less by the storms. The Norwegian Dawn cruise ship was diverted to St. Thomas (from St. Croix) on Nov. 11 because of a lack of on-ground excursions, Norwegian Cruise Line said at the time. Hurricane Irma hit St. Thomas, St. John and Water Island the hardest, while Hurricane Maria’s effects were most felt in the southwestern portion of St. Croix, Nicholson-Doty says. Electricity has been restored to close to 50 percent of St. Thomas, close to 30 percent of St. Croix and close to 25 percent of St. John, with the USVI government aiming for a 90 percent overall restoration by Christmas. A 100 percent power restoration will take longer, Nicholson-Doty says, because many damaged buildings can’t get their power back until structural repairs are complete. At the same time, Nicholson-Doty emphasizes that most major hotels have sources of backup power and water. “Our cruise segment is recovering much quicker,” Nicholson-Doty says. The USVI has 50 percent of its pre-storm book of business set to arrive in November, and 90 percent of the pre-storm book of business for December, with cruise travel returning to pre-storm levels in January. St. Thomas welcomed its first cruise call, by Royal Caribbean’s Adventure of the Seas, on November 10. Carnival Cruise Line will return to St. Thomas January 9, 2018, with a call by Carnival Glory, and fellow Carnival Corporation brands Seabourn returned on November 3; Holland America Line returned on November 8; and Princess Cruises returned on November 12. In terms of hotels, conditions vary by island. On St. Thomas, Frenchman’s Reef & Morning Star Marriott Beach Resort will remain closed for all of 2018, Nicolson-Doty said, although she did hint that a number of updates were in store for the Marriott-branded property. “They’re going to make sure Marriott brand standards are present in every aspect of the property,” Nicholson-Doty said, adding that Morningstar could even be developed as a separate five-star property. The Ritz-Carlton, St. Thomas, is tentatively set to reopen in fall 2018, Nicholson-Doty says, while the reopening date for Sugar Bay Resort & Spa is still awaiting confirmation. Emerald Beach Resort is set to reopen sometime in the first quarter of 2018, while the Bolongo Bay Beach Resort is scheduled to reopen in June. 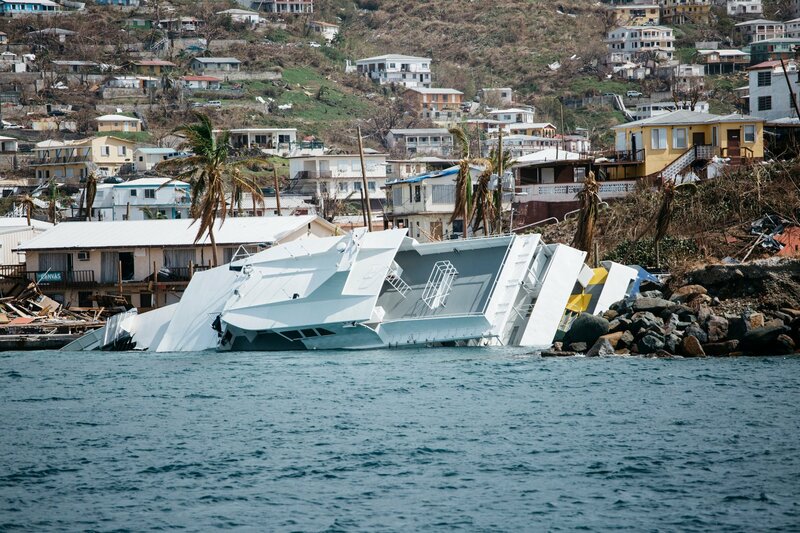 If you think St Croix was “less damaged” by the storms, you simply no not know what you are talk8ng about. You need to take a trip to Frederiksted.